It's always the right time for a hot cup of coffee, but especially when the weather turns cool! 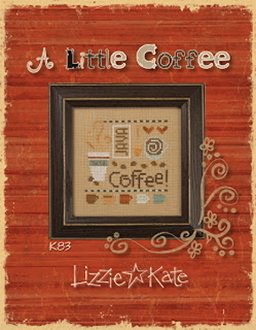 A Little Coffee kit includes 28 ct. Amber linen and tiny "cafe au lait" colored buttons. Pour yourself a cup and start stitching! Design size 4" x 4". ﻿ Stitch count 55 W x 55 H.
Kit includes: 28 count Amber linen, two tiny buttons and chart with instructions.